I've had this album lying around for a few years now, but I never really got around to listening to it- I think I found the band's name somehow unappealing. Anyway, that was my loss as this is a first rate collection of sun-drenched psychedelic rock. 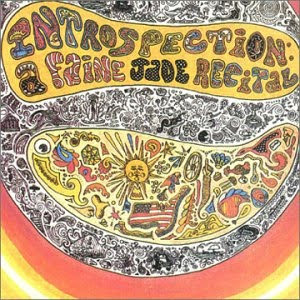 Faine Jade isn't a band either as it turns out this is a solo LP and that's the feller's name - sort of an opposite version of the Lynyrd Skynyrd - Jethro Tull - Pink Floyd conundrum. As often crops up on this blog, Pink Floyd is also a notable signpost for the music here as Faine Jade's songwriting and vocals were definitely taking notes from Syd Barrett, and he does a damn fine job of it. Still, the thing that really makes this a notable release is that Jade takes the sound of British Psychedelia and executes it as a garage-rocking, awesomely low rent version of the L.A. studio sound. A very groovy sound indeed. There's not a bummer among these tracks - I try to not just throw around my 5 ratings. If you're looking for a straight up Americanized Barrett fix then you can't go wrong with the great "Games People Play," or "In a Brand New Groove." For straight out rocking, Faine Jade gives you the one-two punch with "I Lived Tomorrow" and "Ballad of the Bad Guys." "Cold Winter Sun" manages to sound like Galaxie 500 20 years before that band even started recording. You'll also find some strong psychedelic ballads on the title track and the "All You Need Is Love" echoing closer "Stand Together." I also find that "On the Inside" comes across as a nice extension of David Crosby's freaky later work with the Byrds. The only track here that might try your patience is the freak-out jam/sound collage "Grand Finale," but if you've got a soft spot for "Revolution #9" (as I do), then it'll all be groovy, yeah? Really, this album belongs in the Pantheon of top rate, obscure psychedelic rockers like Rainbow Ffolly, July, or The End. In fact, it may be the best of that particular bunch. Faine Jade somehow managed to take pretty all of my favorite stylistic touches of 60's psychedelic rock, and get them all in the same place. It's like he was reading my mind eleven years before I was even born! Coming out of Oregon, this band doesn't have any particular innovations to offer, but they do have a groovy, listenable sound. They often skirt the boundaries of sunshine pop, all anchored by a wonderfully cheesy Farfisa organ sound. The band doesn't really have a ton of originality - much of this is aping more established acts like the Byrds and the Mamas and the Papas. Still, they were able to create a very consistent album that would swing at your retro-party. None of the songs here are particularly bad, even if many of them do go sailing on the seas of cheese and nothing stands out to strongly. "Susie's Gone" is the most notable freak out on display here with acid-soaked vocals, and oddball beat and a melting, twangy guitar sound. "Chasing Rainbows" got stuck in my head for a few days, while "It's A Wonder' sports a pretty nice guitar riff alongside its sunshine vocals. I can't help but notice that "Mend This Heart of Mind" sounds suspiciously like the Byrds "Here Without You." It makes me think that Afterglow may be coming a little too close to some other songs that I'm just not catching at the moment. There's nothing here that's going to blow your mind, but this is a pretty groovy slab of garage band sounding late sixties sunshine pop. While the date on this album is 1968, I think this music would have been a lot more at home about two years earlier. Still, most of this album will at least put you in a pretty good mood. Let's call it brain Jell-O. 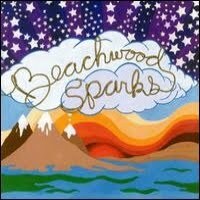 For their follow-up full-length album, Beachwood Sparks decided to take the old school double LP route. The band has made a few alterations to their sound, which end up pretty much being a zero sum game, but at least keep things sounding different. The songwriting has definitely matured since the debut album, but it doesn't always have the hooks that penetrated your brain on that one. I think the band probably realized that Chris Gunst's unadorned voice wasn't always the best idea, and they slather a bunch of reverb on much of this music. 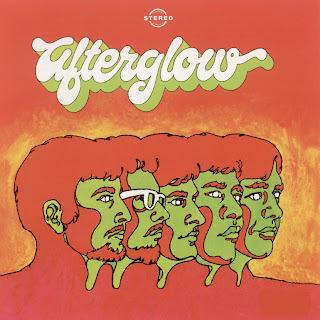 It does sound psychedelically groovy, but it's at the cost of some of the crisp late 60's L.A. sounds that the band recreated so well on their self-titled album. The band front loads this album with their most hooky material - the rockin' psych hoedown of "You Take the Gold" will become stuck in your head forever, while the band nails their Byrds and Buffalo Springfield homages right of the bat with "Confusion is Nothing New" and"The Sun Surrounds Me," respectively. Later on, the band presents their best echo-chambered ballad on "Close Your Eyes." On this disc, the band ventures a little more into psychedelic freak out territory with some awesome wall of cathedral sound passages in "Let It Run," some full blooded weirdness on "Juggler's Revenge" and the properly epic title track. But this album got attention upon its release due to the left field cover of Sade's "By Your Side." Really, it's not the best thing on this album, but it is nicely appropriated to the band's sound and pretty entertaining. Beachwood Sparks managed to both mature and find some new sonic territory on this LP - at the end of the day it stands on a pretty even keel with their debut. It seems that in 2011, this band has been all but forgotten, but there are plenty of sounds that will make this a welcome surprise. 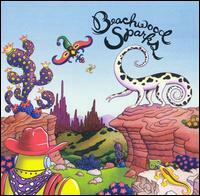 Beachwood Sparks took Gram Parsons' concept of 'cosmic American music' very seriously. As much as I like Gram Parsons, I was always a little disappointed by his own execution of this idea - I wanted more 'cosmic' sounds in the music. The Sparks apparently agreed, and this album is a wonderful fusion of the songwriting and vibes of the Byrds' Sweetheart of the Rodeo and the psychedelic pyrotechnics of that bands previous three LPs. To sweeten the deal a little, there are some stylistic touches borrowed from the Beach Boys and the Buffalo Springfield as well. 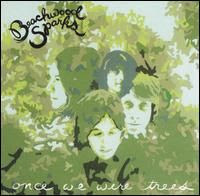 That said, Beachwood Sparks does have a bit of an unfortunate Achilles heel - the voice of lead vocalist Christ Gunst. He's afflicted with the same problem that plagued so many indie bands around the year 2000, a sort of over-warbly, sad, whiny tone. The lonesome reedy tone of a Gram Parsons or the confident warble of a Roger McGuinn or Neil Young would have put this album over the top as an absolute classic, but I often find myself wanting to slap Gunst's voice and tell it to pull itself together. Fortunately, Gunst is often in a mix of harmony, where it works much better. The first song, while well written, is also the worst case of Gunst's unadorned voice muddling up the proceedings. Head for "Silver Morning After," a great harmony-laced, cosmic country pop to get you in the mood for this album. "Sister Rose" takes the sound of Parsons' "Lazy Days" into interstellar space, while "This Is What It Feels Like" takes a brief detour into rockin' Beach Boys territory, while the band goes for a countryfied Smile sound on "Old Sea Miner." 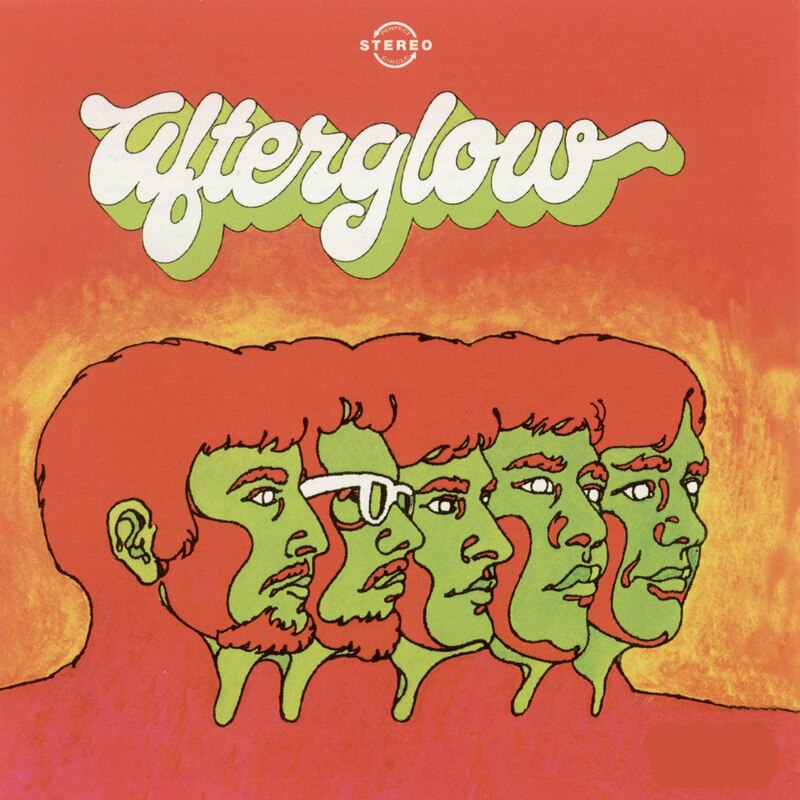 The best track here, though, is "Something I Don't Recognize," which detours much of the country sounds to head straight for the core of 1967 L.A. psychedelic rock. You'll also head several well done psychedelic country ballads which are generally well done, but didn't leave as much of an impression on this listener. I do have a soft spot, though, for the short experimental pieces like "Ballad of Never Rider," "Singing Butterfly," and "Sleeping Butterfly." Coming annoying short of hitting all of their marks, Beachwood Sparks' debut LP still makes for some mighty fine listening. Give enough time to really get into this fine realization of a 'cosmic Americana' sound and you'll find yourself putting this into your rotation.